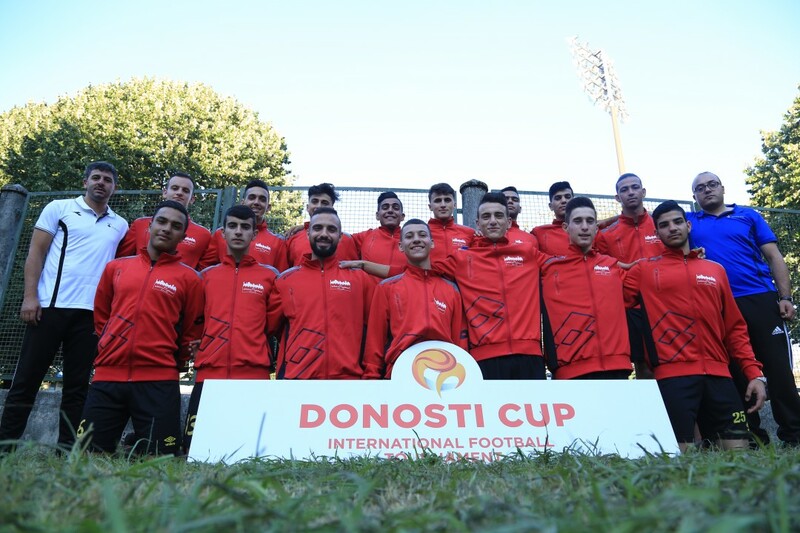 Burj Al-Luqluq Social Center Society participated in Donosti Cup in Spain in Donostia, San Sebastian from the 1st to 9th July 2017 for boys born in 1999, 2000, 2001. The mission of 18 players in addition to the Manager Muntaser Edkaidek and the trainer Faraj Abu Ramouz went to Spain, however, the the actual trainer of the team Nihad Zughayyer could not go as we was jailed. Moreover, international and and European teams competed in this Cup as this age group is considered the strongest in the tournament. Burj Al-Luqluq\ AL-Muazzafin team was qualified to the eighth round after beating Ekintza Ke B with a goal scored by Sinan Abu Shalbak. However, the team lost by 3 goals against Vasconia CD B Spanish team because Burj team has played two games in a row in less than three hours. The team came back to Jeruslaem Palestine with pride as the players have presented Palestine in international tournaments.